Kiwi was relinquished by her owner after she lost interest in the filly. 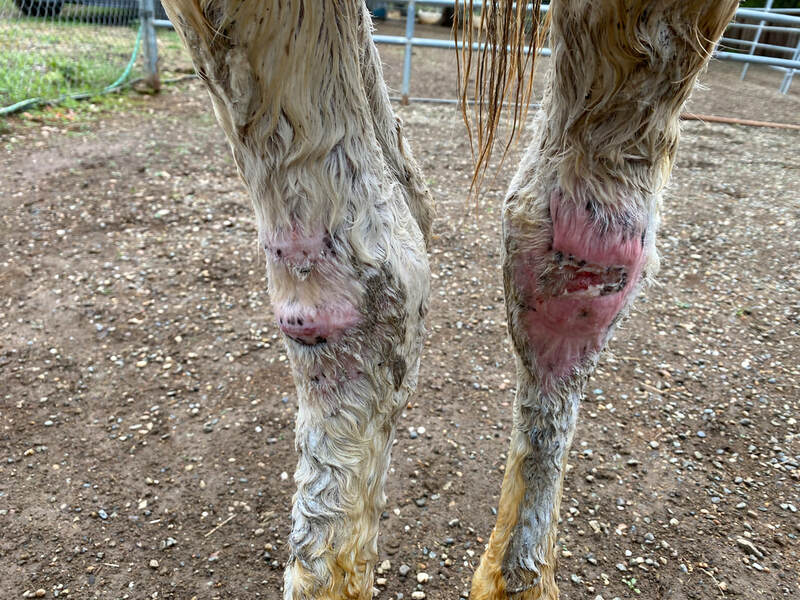 Kiwi was thin when she arrived at AAE, and her hooves were much overgrown and clubby in appearance. We were initially concerned whether the clubby hooves would limit her normal activity, but with targeted vet and farrier attention, Kiwi has thrived. She needs frequent trims, but no shoes, and she has done quite well. 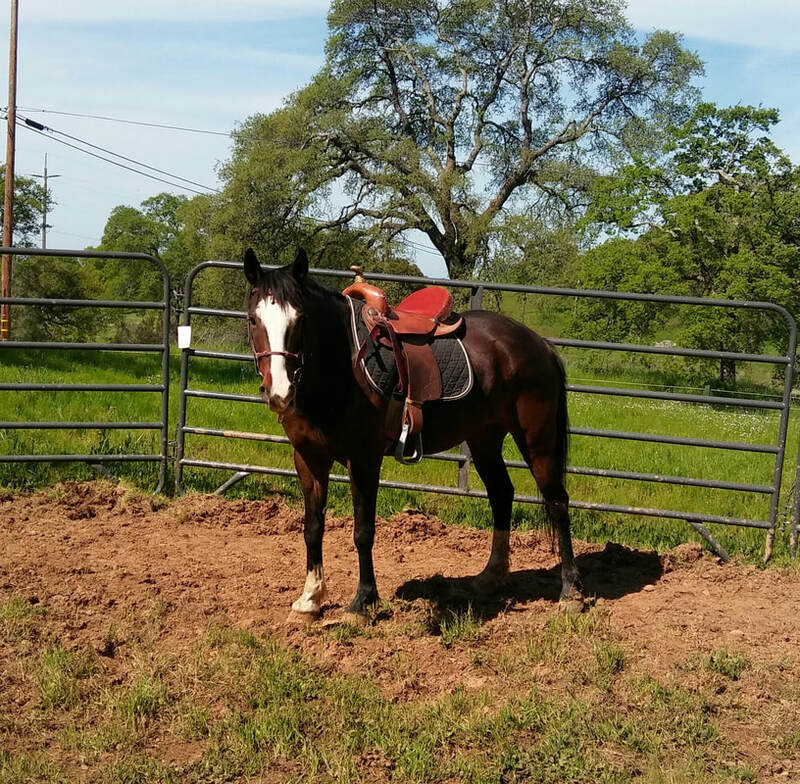 She resides in pasture with the rest of the AAE herd on rolling hills, and runs and moves with the herd without limitation. Her activity level is high with the other youngsters in the herd, too. Little is known about Kiwi's background, but we understand she originally came from an Indian reservation. 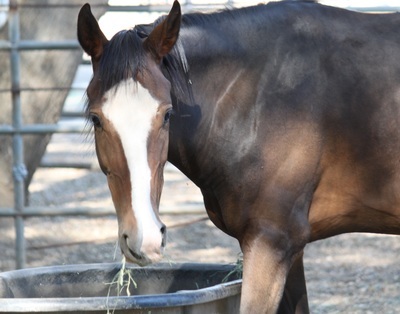 She is a sweet, curious, and social filly with lots of personality. 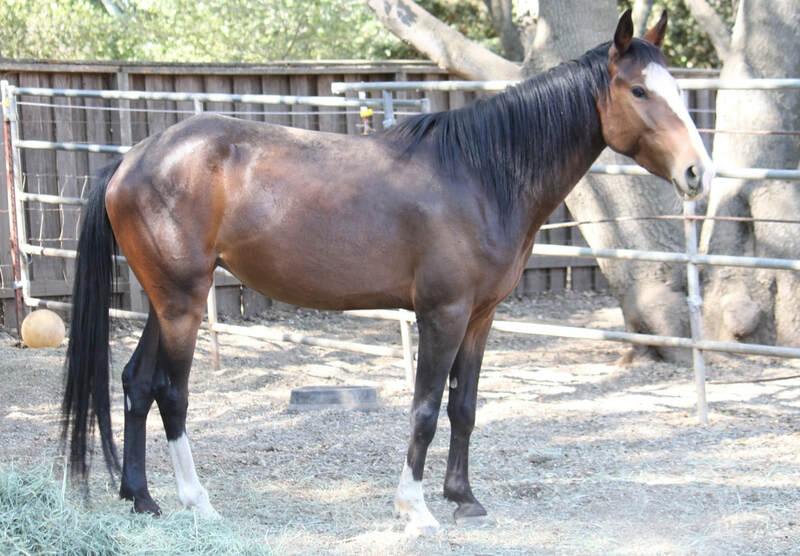 Kiwi is a 4yr, 14h, drafty mustang type. She is easy to get along with, not spooky, and likes having a job. 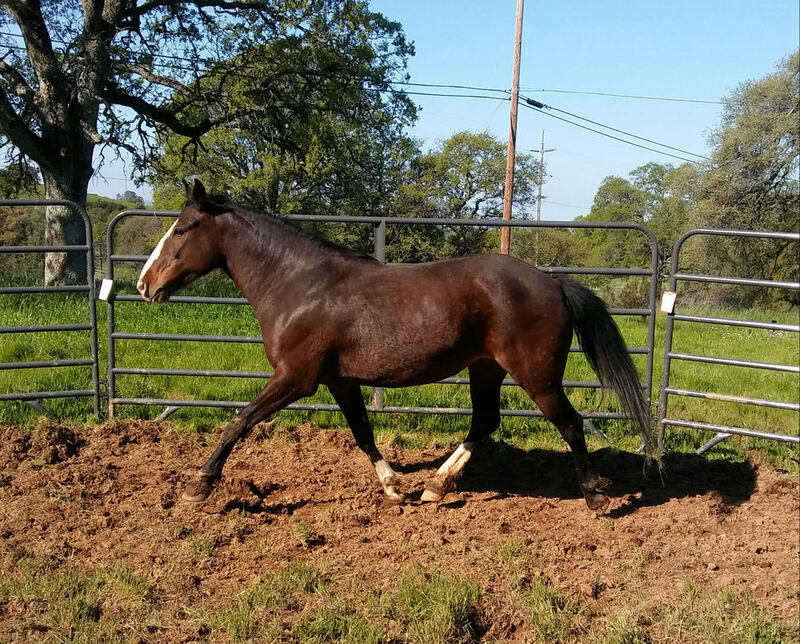 She has the energy you would expect of a 4yr old, and would do best in a large paddock/dry pasture and handling at least a few days a week. She is a very easy keeper, and gets along well with other horses. 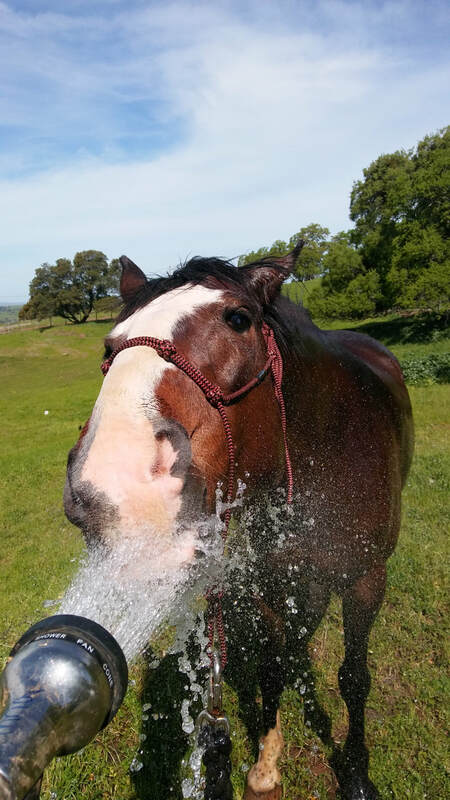 Kiwi has her basic ground skills, yields to pressure, enjoys water and the hose, is good about having her feet handled, and is starting to learn to tie for short periods of time. 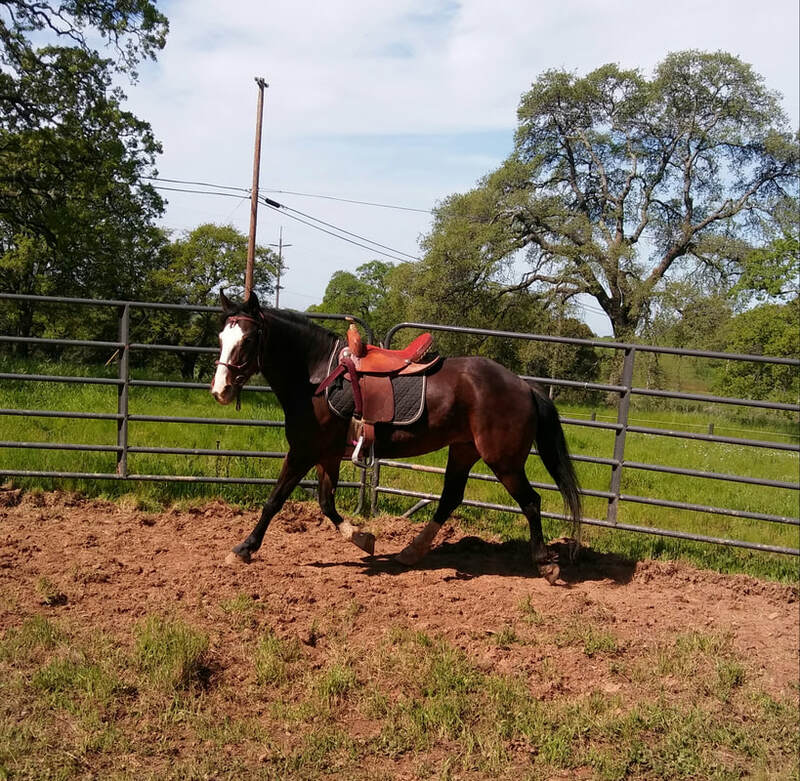 She has been very easy to introduce the saddle and bridle to, and will continue to practice being saddled and bridled, as well as learning new skills! 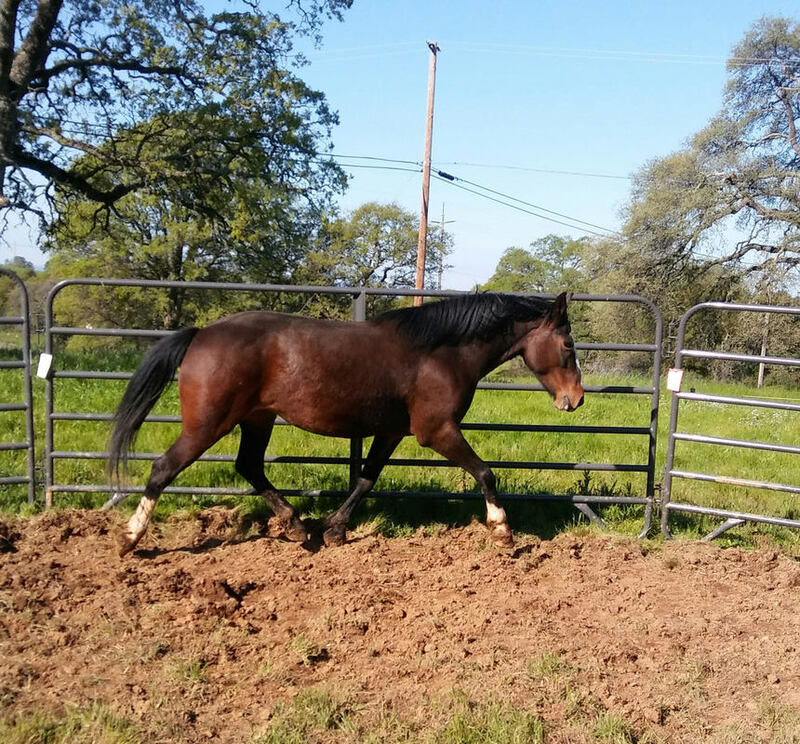 She will be learning to ground drive soon so check back for updates on that! She is not quite ready to be started under saddle, but definitely by the end on this summer should be fully prepared for some rides. She is easy to introduce new things to, and enjoys spending time with people. Kiwi will be easy to start under saddle and could be a fun project for an intermediate person with trainer assistance, or a fun project for an experienced handler. 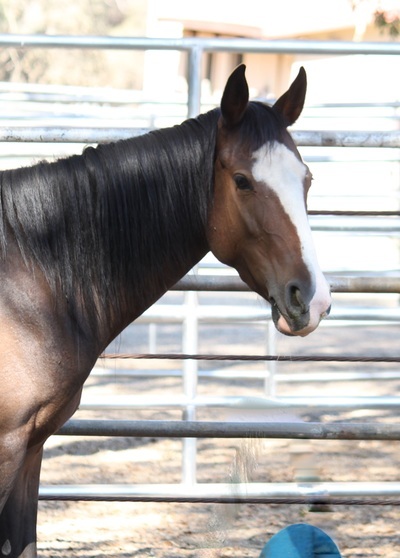 Kiwi is a confident, personable, and fun girl who is ready to be adopted! 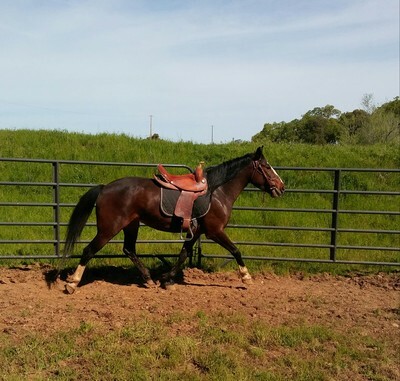 She is the perfect size at 14h to easily be mounted by the average person who does not want a ladder to climb on their horse, and is stout enough to easily carry an average adult. Kiwi is sound barefoot and has nice strong mustang hooves! She does however have upright (club) type front feet, and remains sound with more frequent trims. 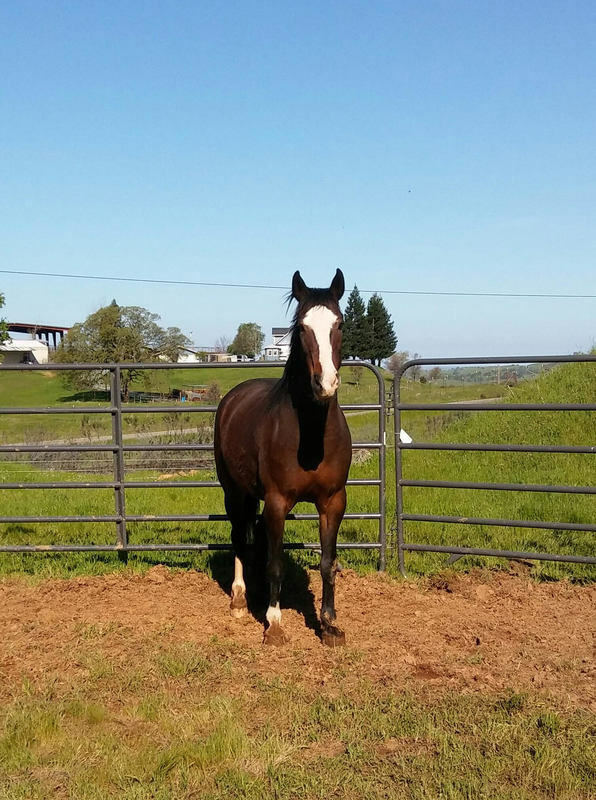 She is not recommended for heavy competition riding such as jumping or speed events, but is sound and enjoys working. Kiwi is also an easy keeper, this filly will not break the bank feeding! She is not suitable for green pasture because she is such an easy keeper and loves food. We are looking for an intermediate/experienced horse person who wants a nice young horse to bring along and enjoy. Kiwi is up to date with vaccines, deworming, and hoof and dental care.